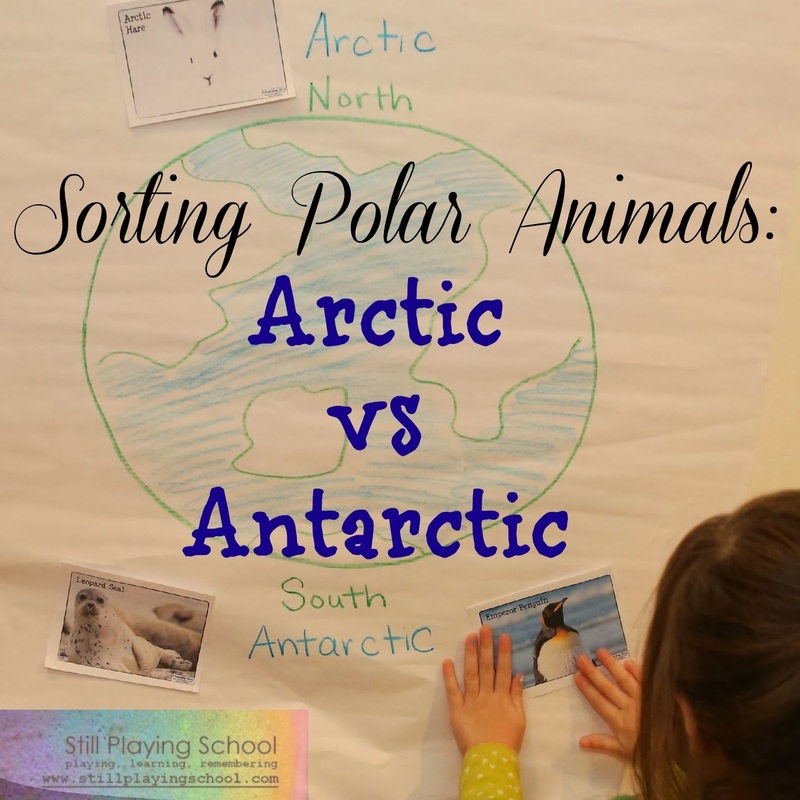 For our final lesson in our polar animal unit, we sorted polar animals from the arctic and antarctic. 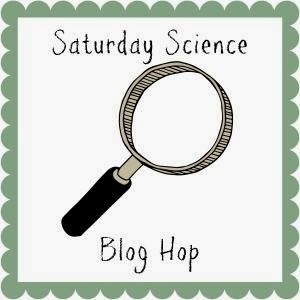 Did you know that arctic means "bear" and antacrtic means "no bear"? This is in reference to the constellation, but it also applied to where polar bears live to make that easy to remember! 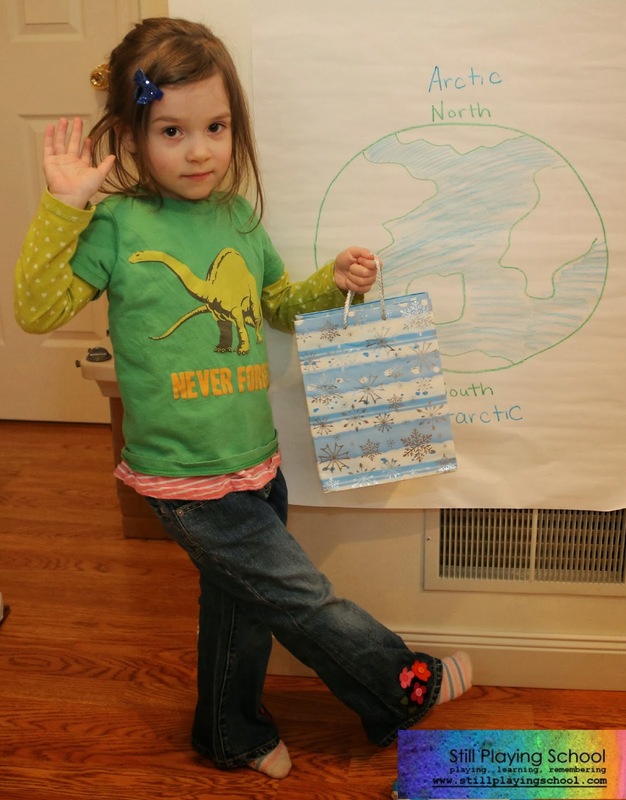 We printed these acrtic and antarctic animal pictures and mixed them up in a winter themed bag, of course! One by one, E would pick an animal and guess where it lives. 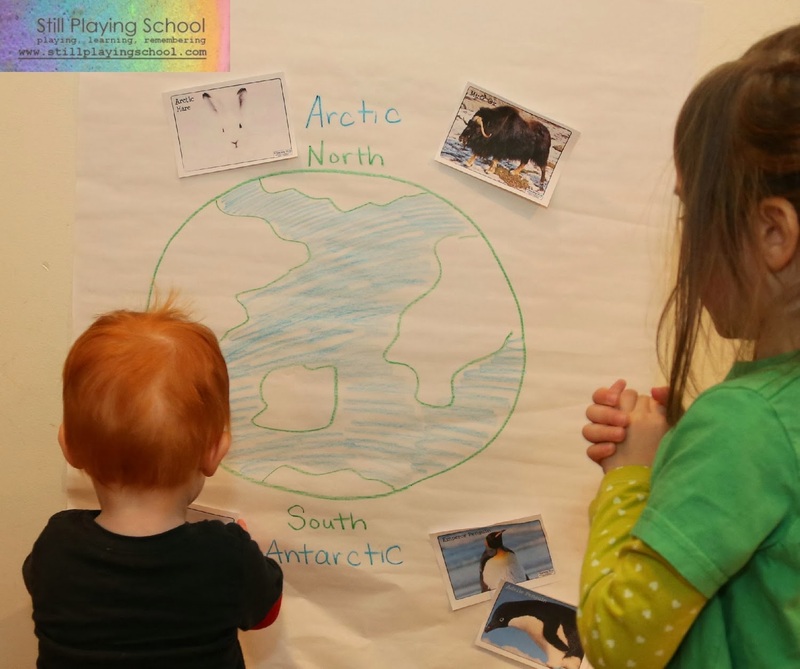 We labeled our map with North and Arctic versus South and Antarctic. D was very interested in this lesson as well! We discussed how the two poles are very far from each other so the animals in the arctic don't ever see the animals from the antarctic. It is too far for them to travel. 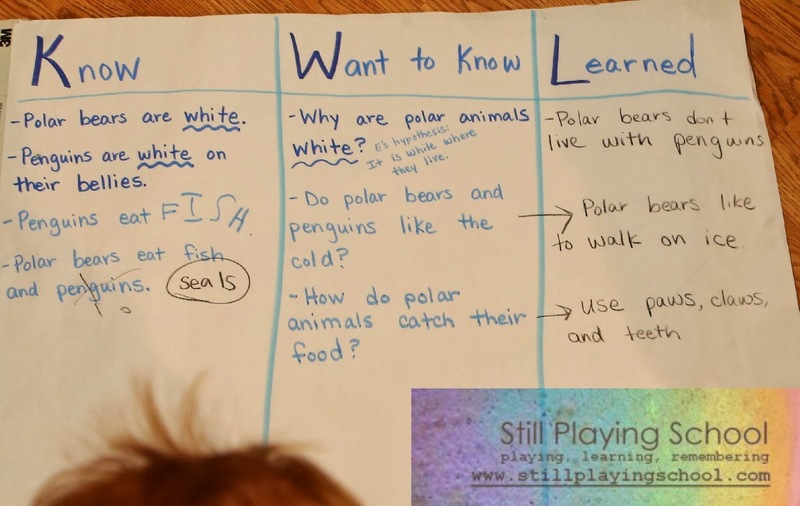 After sorting all of the animals, we revisted our KWL chart from the beginning of our unit. We re-read and correct a few things we had written. 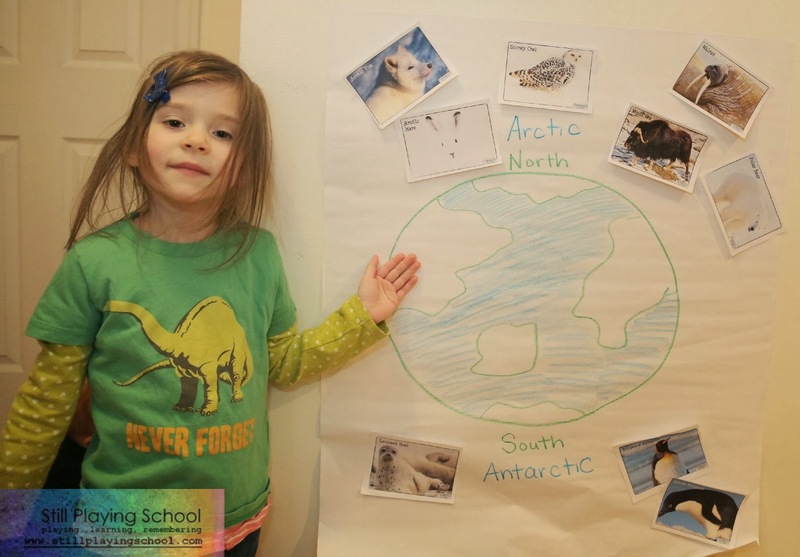 We know now that polar bears can't eat penguins since they live on different continents! We added facts from our studies to the Learned portion of the KWL chart. 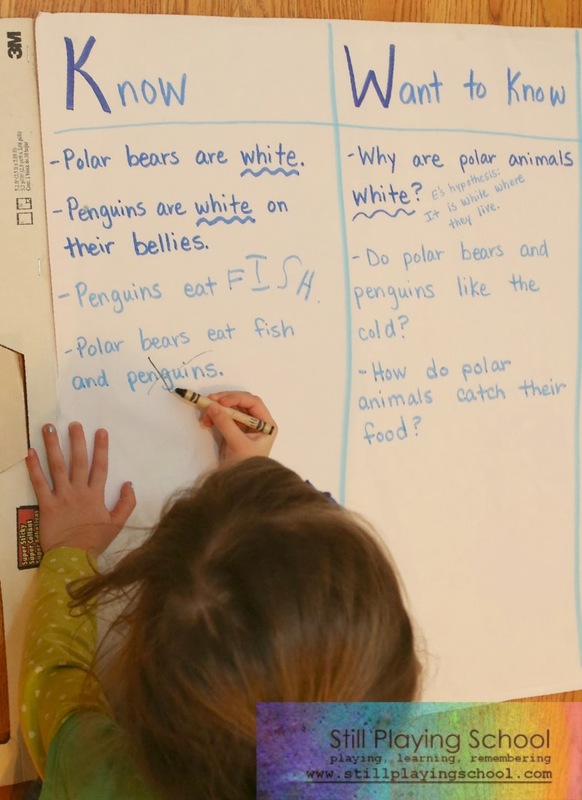 When Mr. SPS came home I asked E to explain to him why polar bears don't eat penguins. "They aren't neighbors," she reasoned.